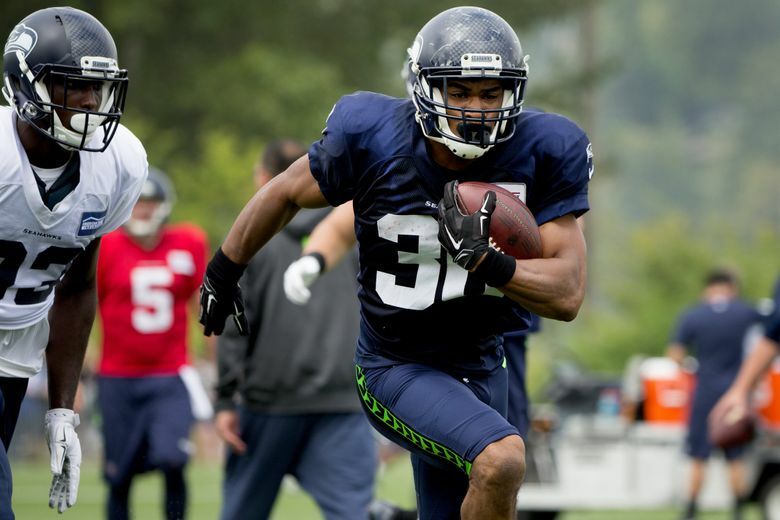 The Seahawks have reportedly released running back Zac Brooks as they pare their roster to 75 by the 1p.m.Tuesday deadline. The Seahawks have released rookie running back Zac Brooks, a seventh-round choice out of Clemson, a source confirmed to the Seattle Times. The move was first reported by ESPN. That move comes as the Seahawks pare their roster to the NFL-mandated limit of 75 by Tuesday at 1 p.m. from the 90-man roster they have had since the beginning of training camp. The release of Brooks brings the known number of players released or otherwise removed from the active roster to eight, meaning Seattle has to make seven more moves to get to 75. Brooks was taken with the 247th overall pick out of Clemson and viewed as a potential third-down back candidate due to his experience as a receiver. But he was hampered by injuries during the off-season program and during training camp — he had a hamstring issue he battled during camp — and saw sparing playing time in the preseason. Brooks played in two games rushing for 17 yards on six carries and making one catch for four yards. Brooks is eligible for the 10-player practice squad that the Seahawks can assemble following the final cutdown to 53 on Saturday. The release of Brooks leaves the Seahawks with six tailbacks on the roster — Thomas Rawls, Christine Michael, C.J.Prosise, Alex Collins, Troymaine Pope and George Farmer.